You know the scenario: Dad tells a corny joke. It lands with a resounding thud. Dad is undaunted. The process repeats, only with even more eye-rolling next time. Dads of the world, when will you learn? The answer is never, according to a short-video series from RPA that celebrates the art of the dad joke, which is having a cultural moment in the sun alongside the ubiquitous dad sneakers. In honor of Father’s Day, the vignettes star eight of the agency’s dads dropping bad puns, silly wordplays and outright groaners. The setting is a faux comedy club, actually Postaer’s Pub, named for co-chair Larry Postaer, on-site at the Santa Monica-based agency. 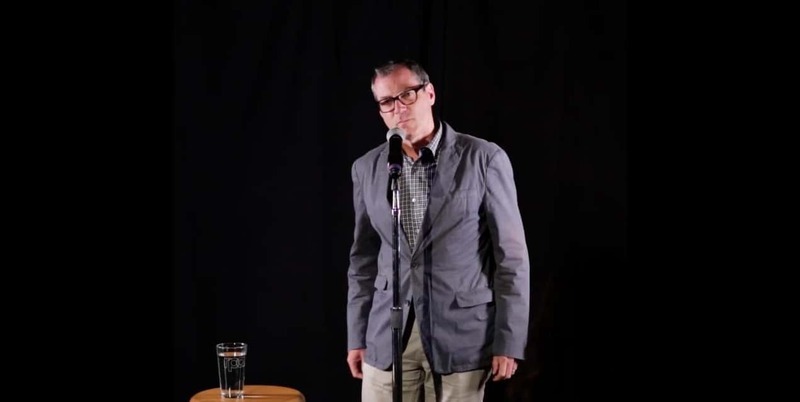 Executives take turns at the open mic doing their cringe-inducing mini-standup routines. Employees, sporting their best stone-faced reactions, fill out the audience. And appropriately for the industry on the eve of the Cannes Lions festival, the goofy quips are all ad-themed. The idea came from J Barbush, vp, creative director, social media, who wanted to share a universal truth about cheesy dad humor and put out “super minimally branded” content that was light and fun. Bo’s House of Visual Arts, RPA’s production arm, handled the project using some young directors at the agency while Barbush recruited “top leaders to go up and embarrass themselves” as on-camera talent. The series became a tribute of sorts to Barbush’s father, who passed away at 91 while shooting was underway. RPA will roll out the shorts on Facebook Stories, Instagram Stories, Twitter and other social channels. In the meantime, catch these comedic exploits on the agency’s YouTube page.